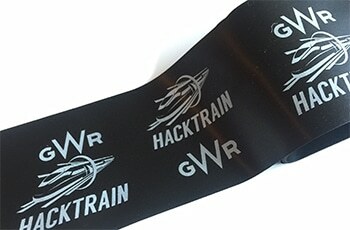 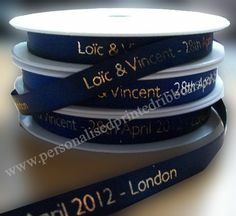 Trade printed wide ribbons in the UK. 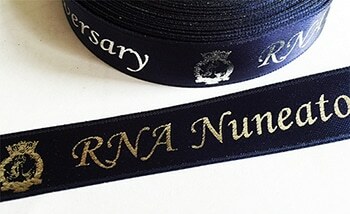 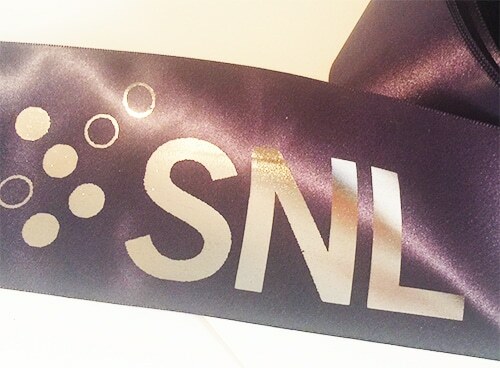 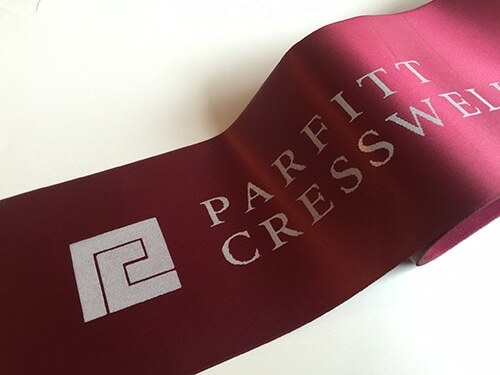 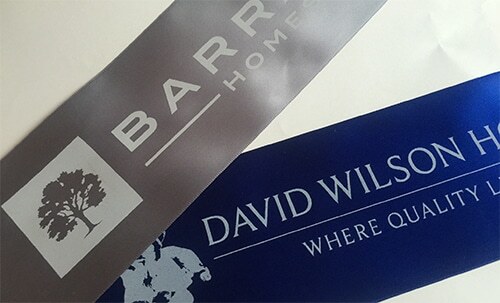 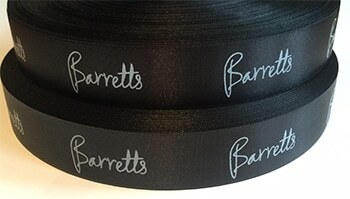 printed bespoke satin ribbons for company grand openings, ideal for ribbon-cutting ceremonies. 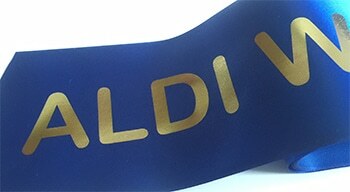 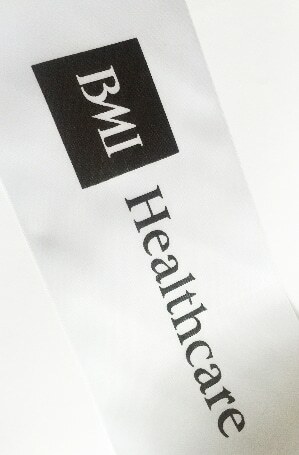 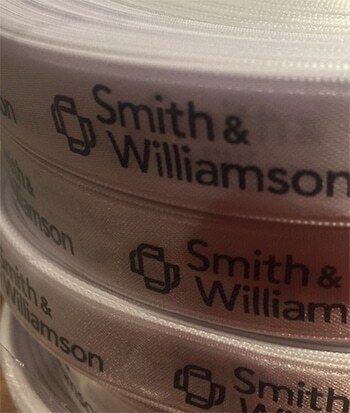 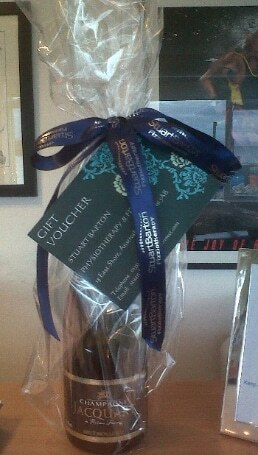 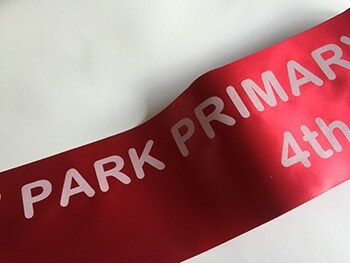 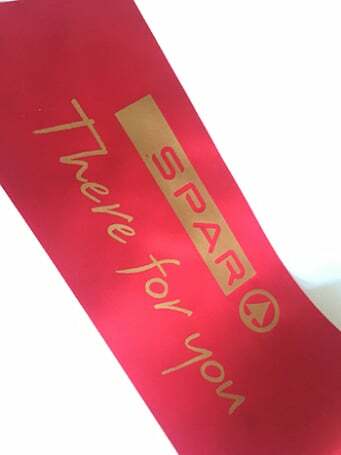 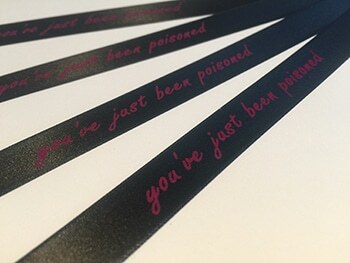 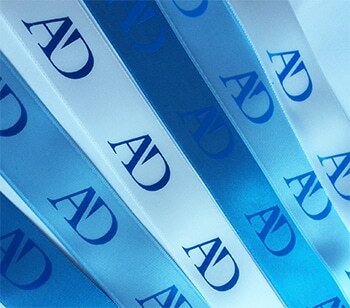 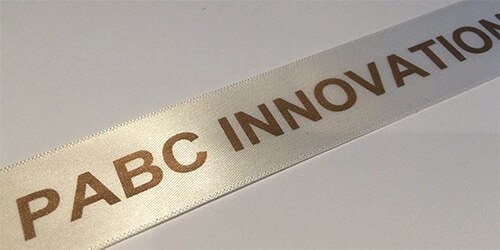 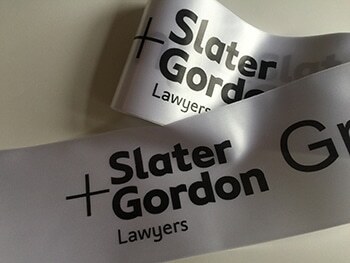 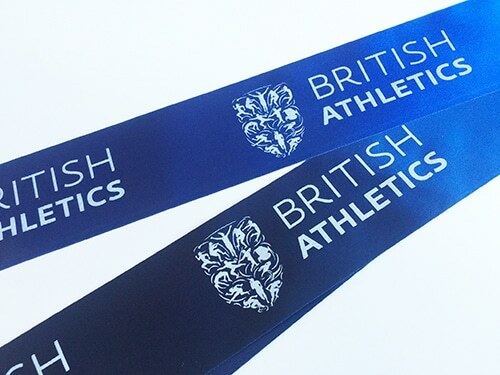 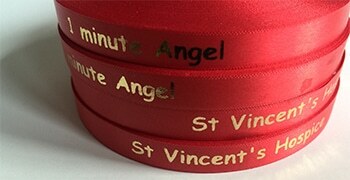 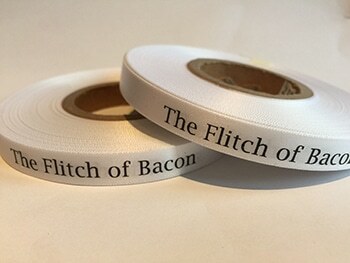 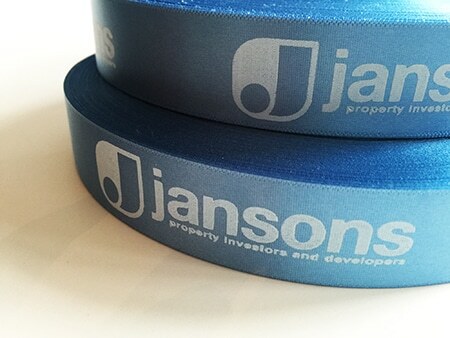 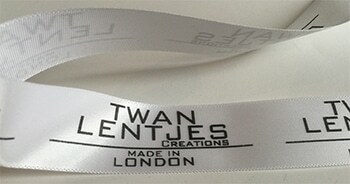 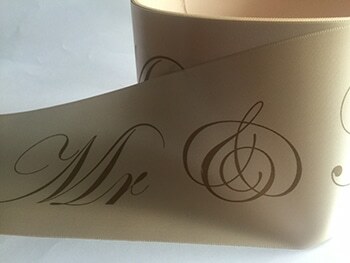 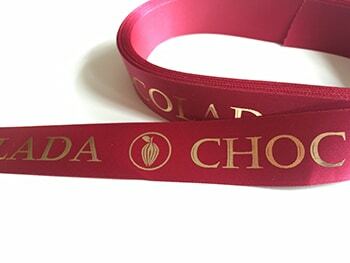 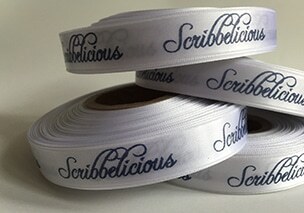 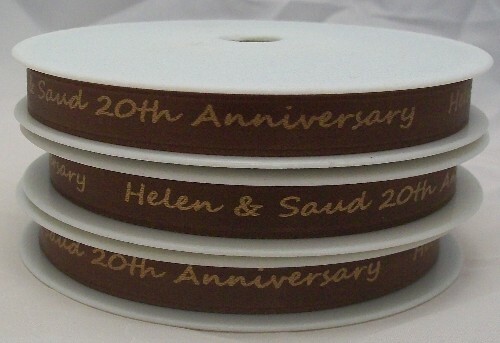 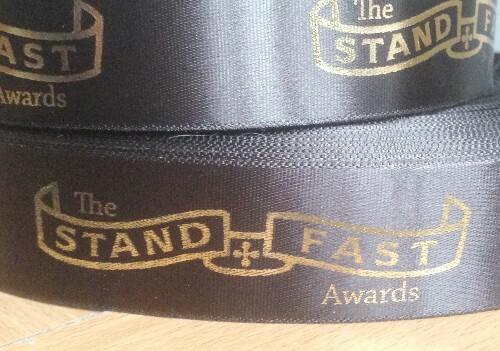 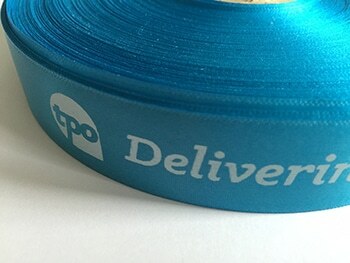 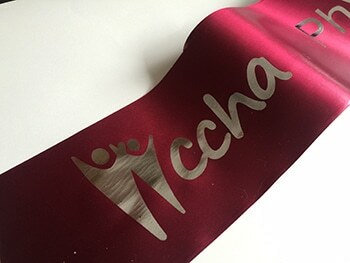 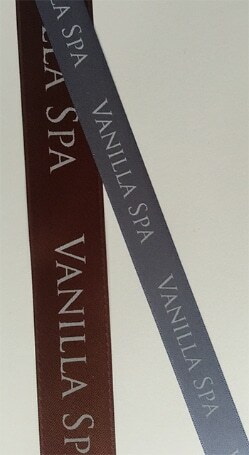 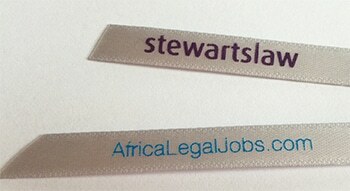 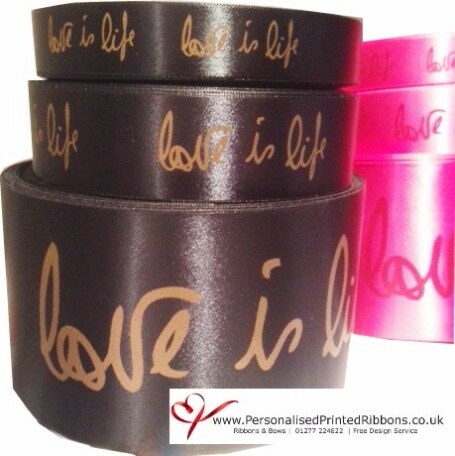 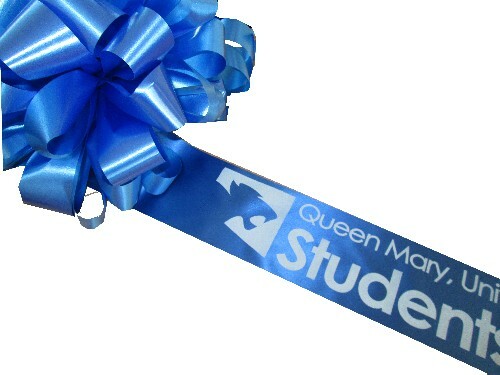 We can print these beautiful satin wide ribbons with your text, image and logos with no extra hidden charges. 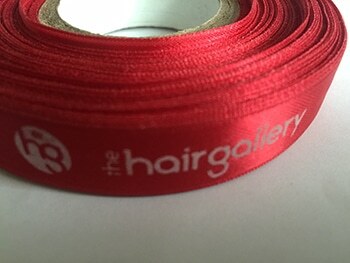 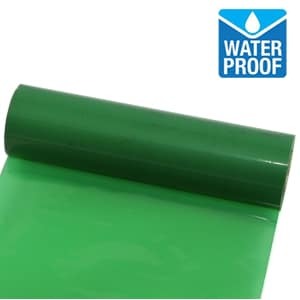 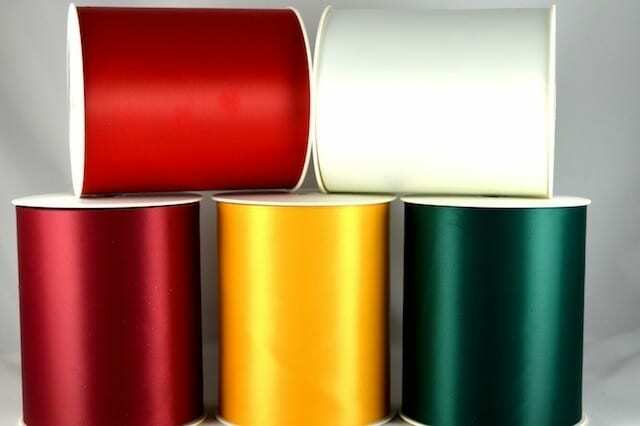 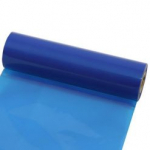 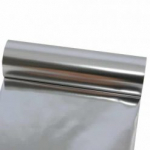 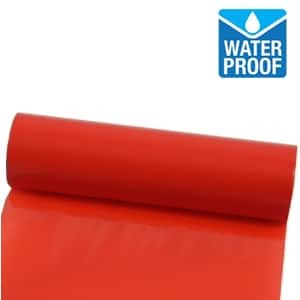 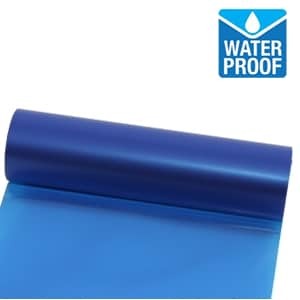 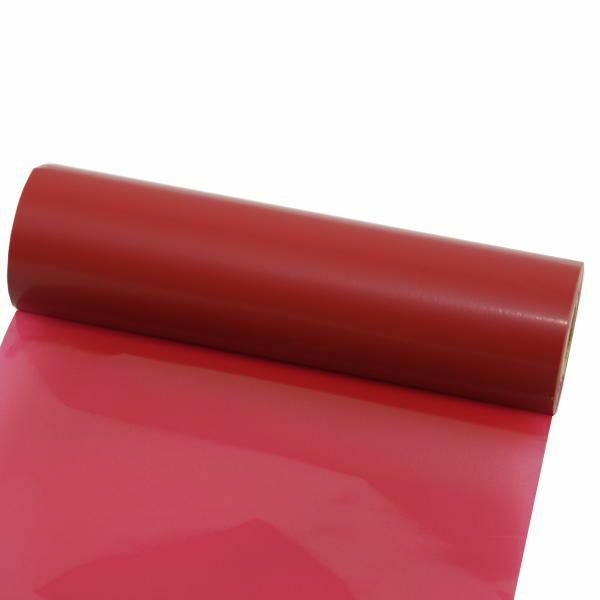 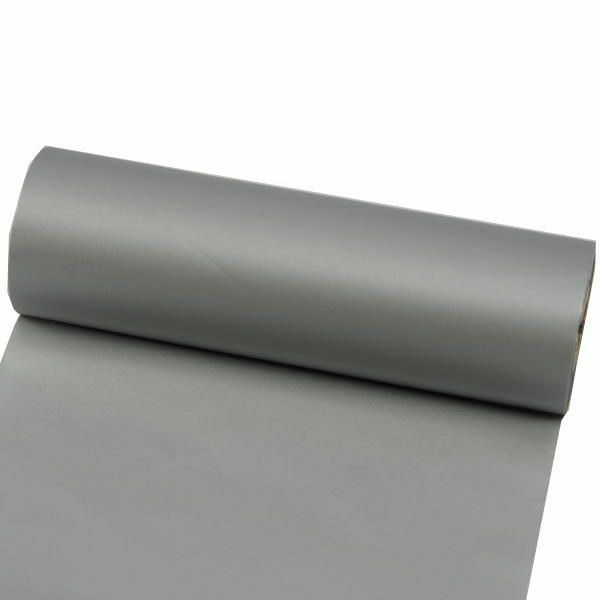 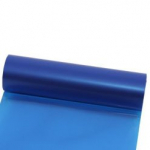 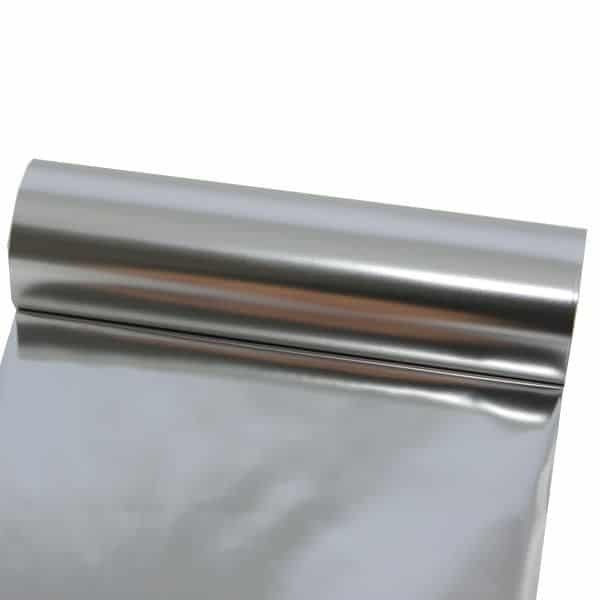 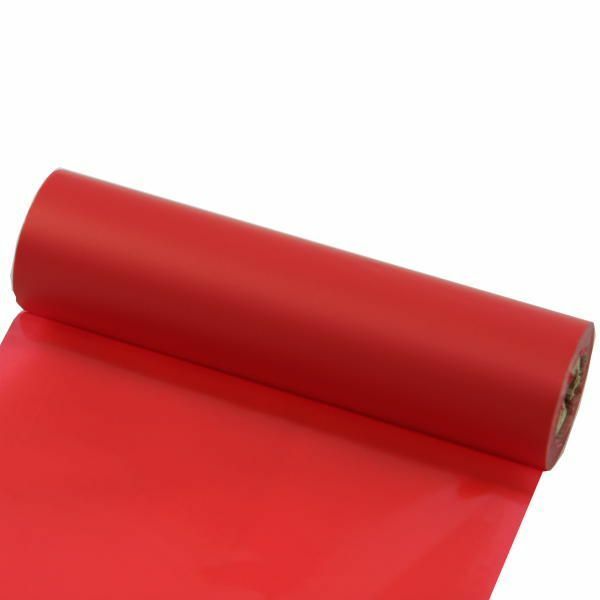 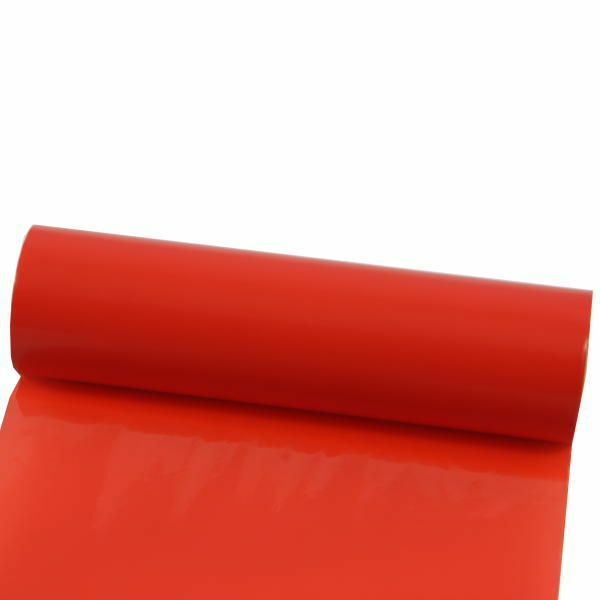 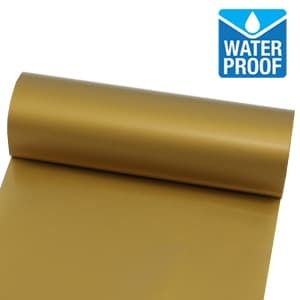 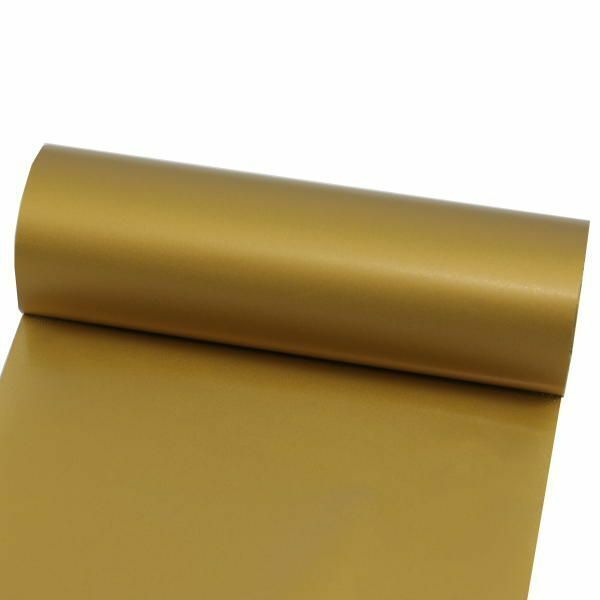 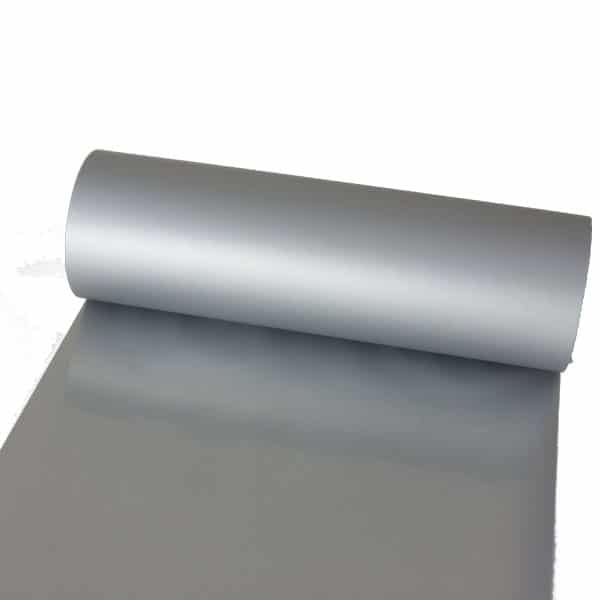 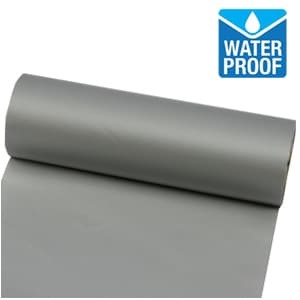 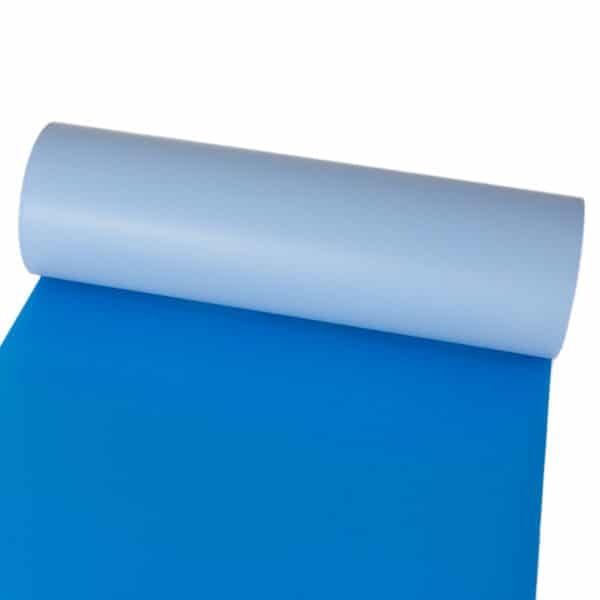 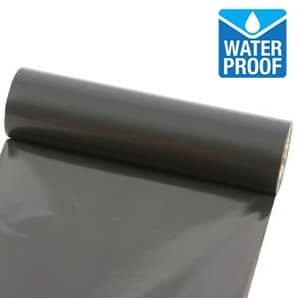 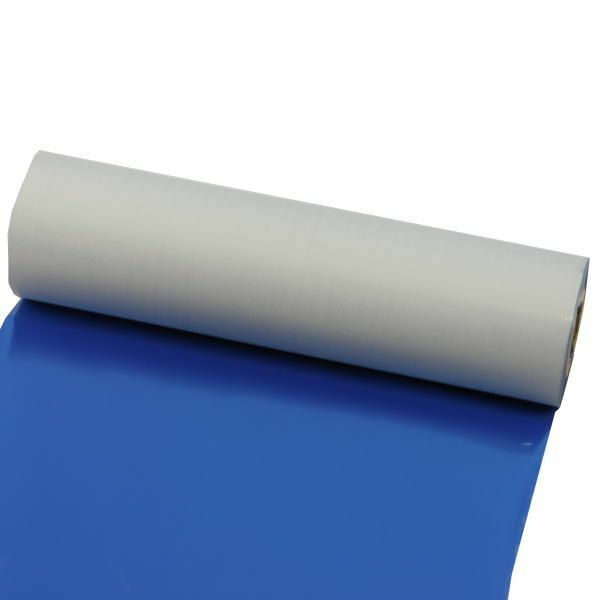 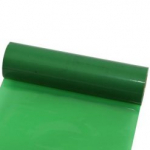 We also offer a ribbon print free design and set up service, and as we print our ribbon in-house even a next day printed ribbon service if required. 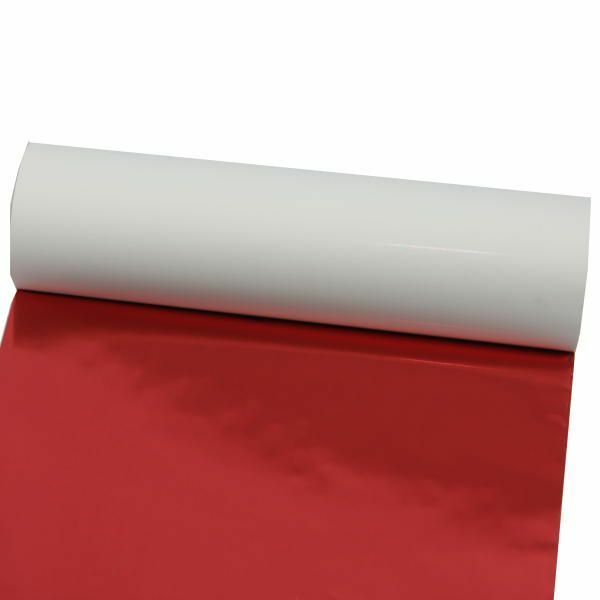 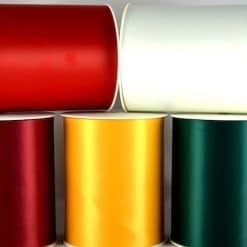 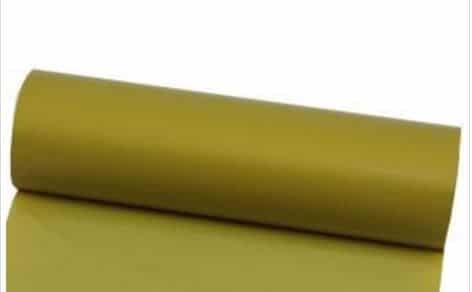 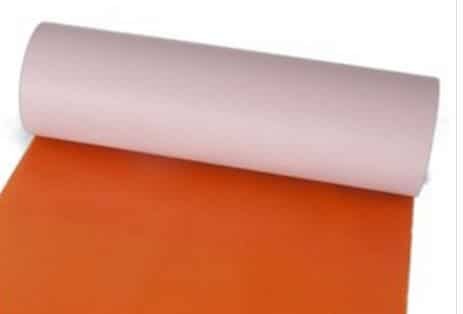 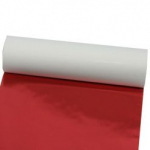 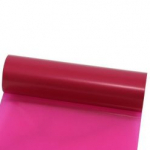 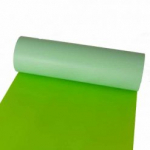 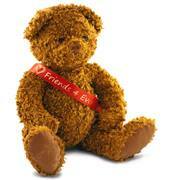 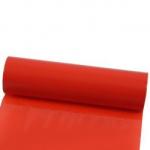 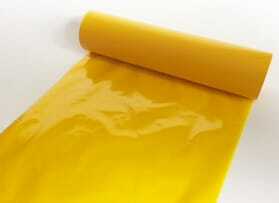 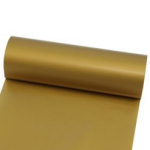 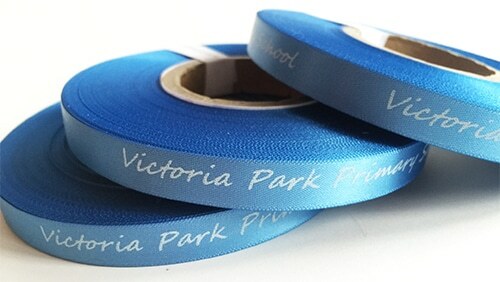 Bulk discounts apply for trade or you can buy just 1 metre of our printed ribbon to help you make your selection. 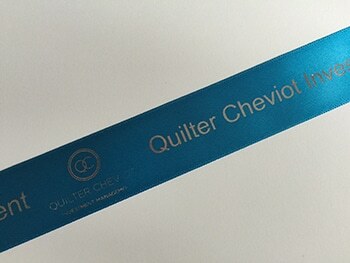 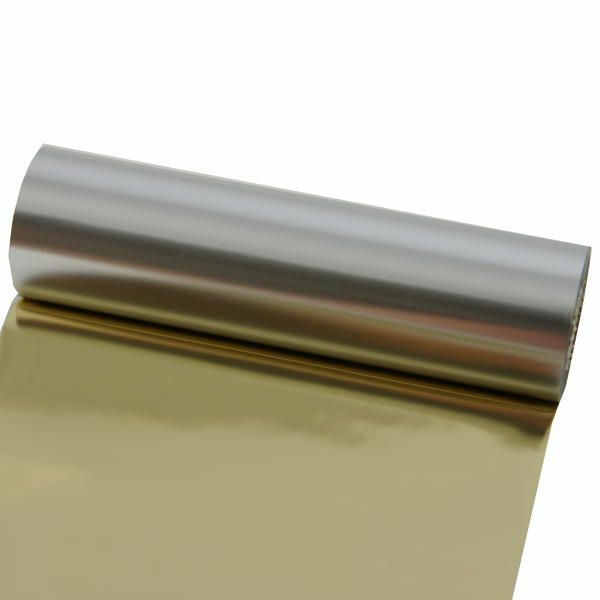 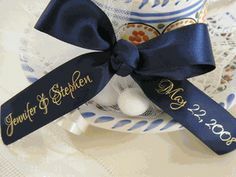 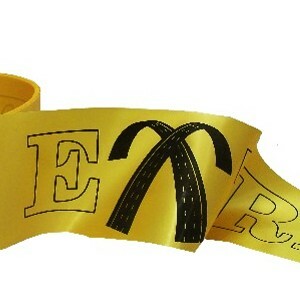 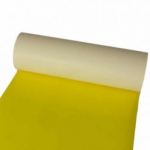 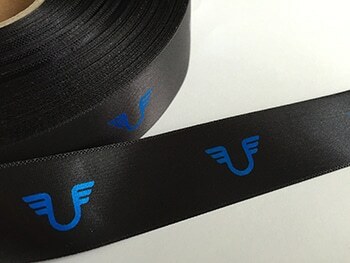 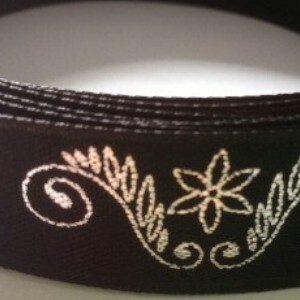 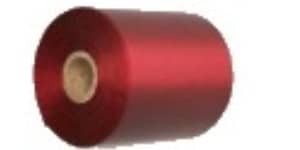 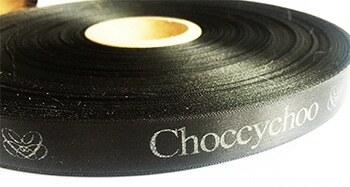 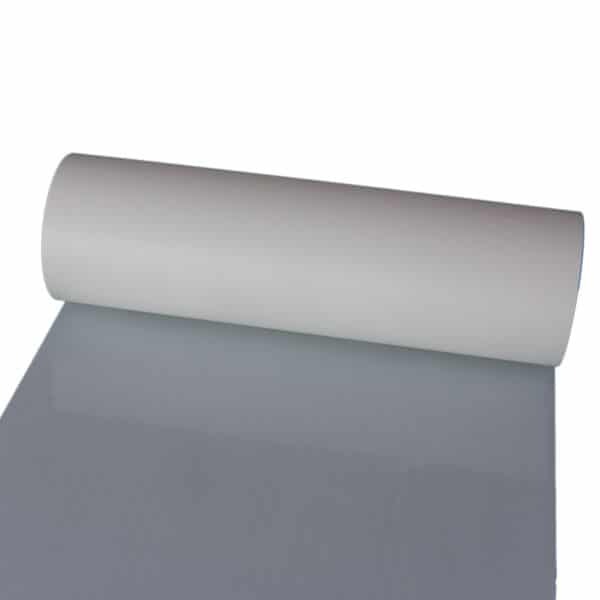 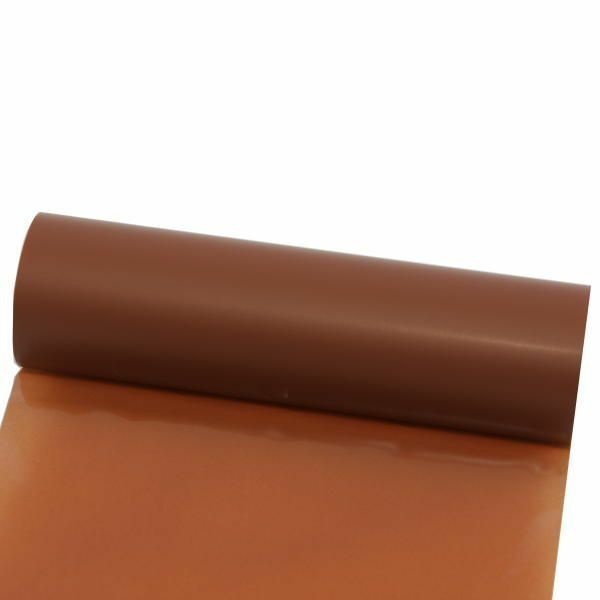 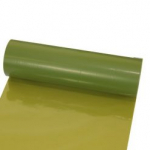 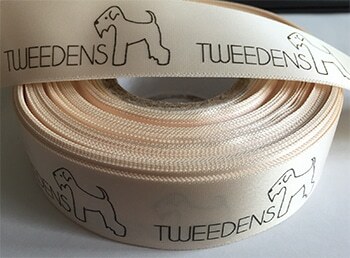 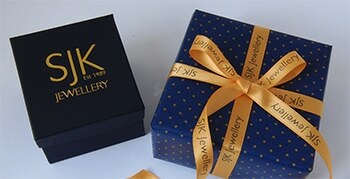 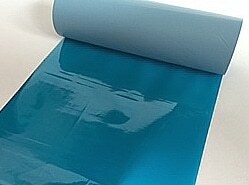 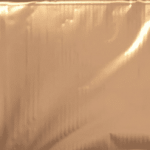 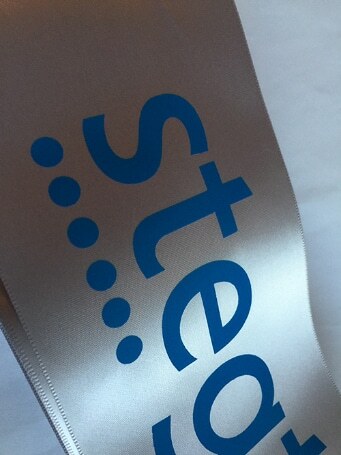 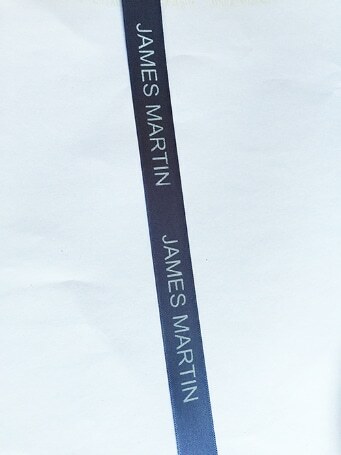 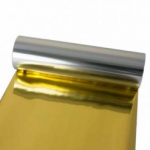 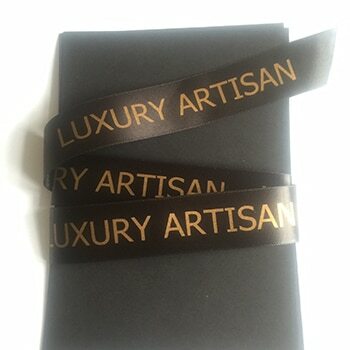 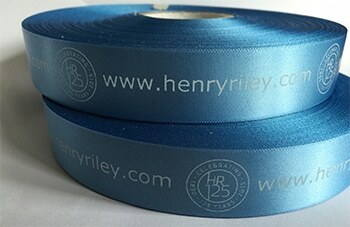 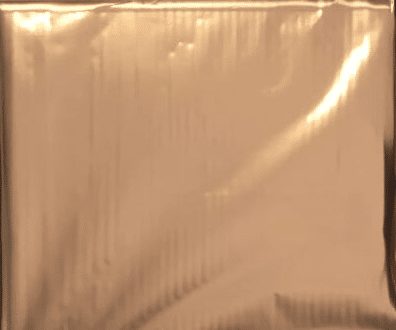 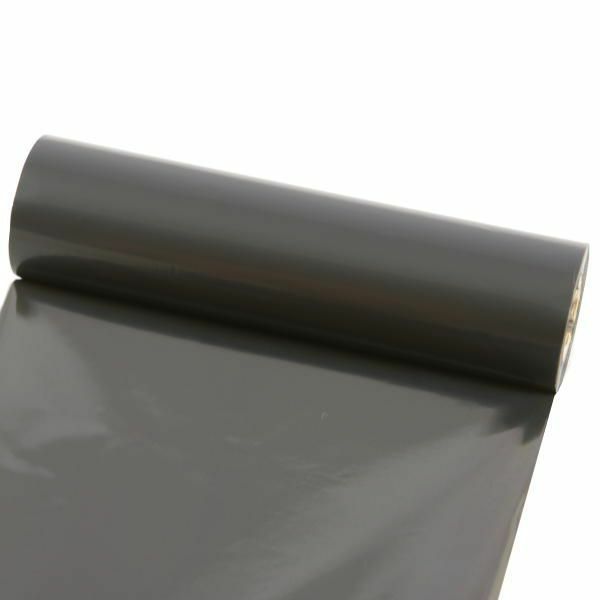 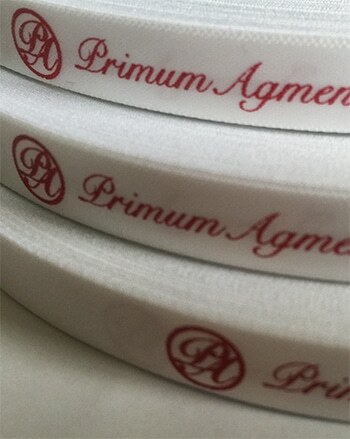 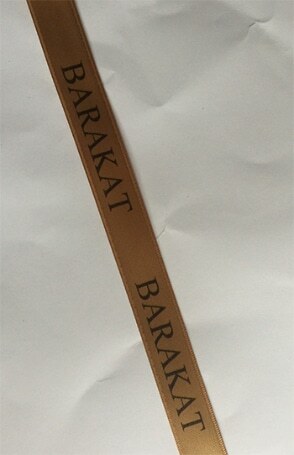 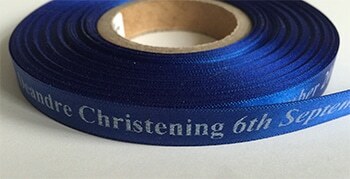 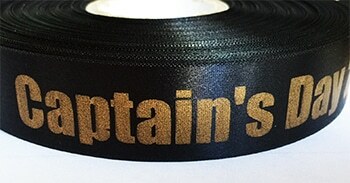 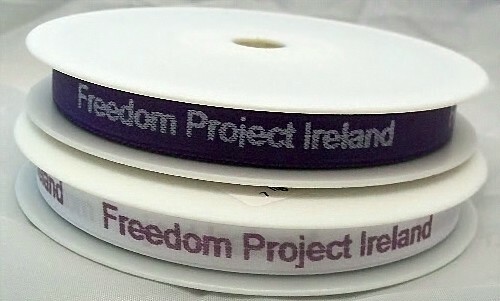 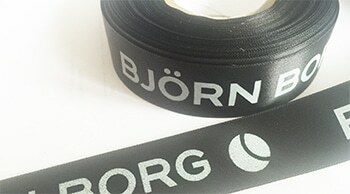 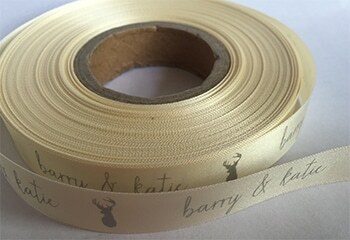 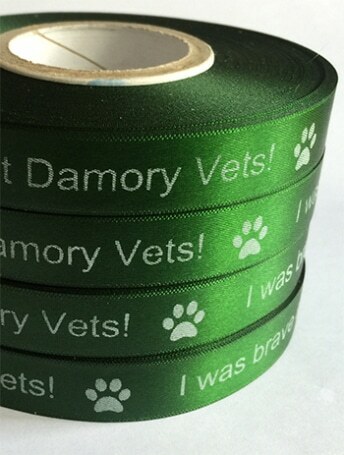 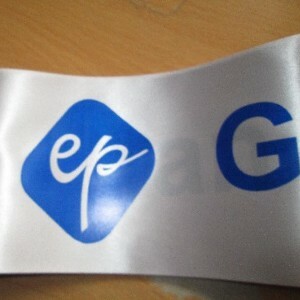 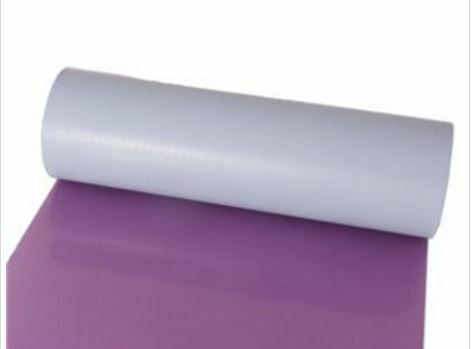 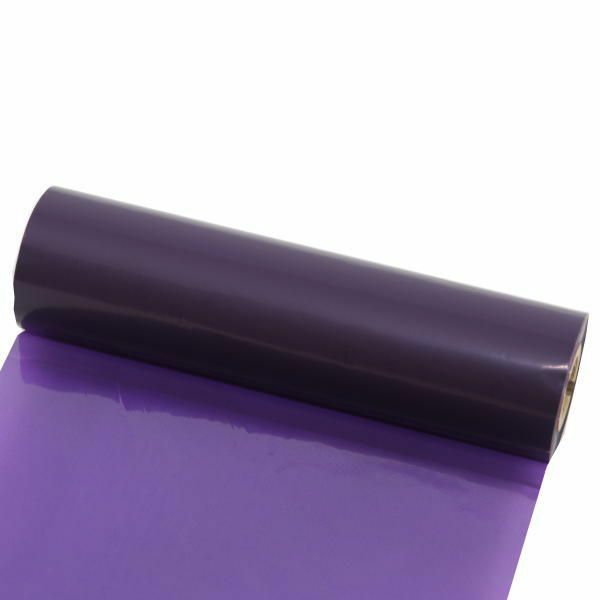 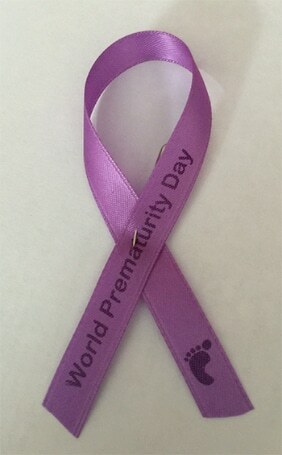 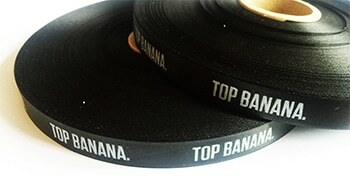 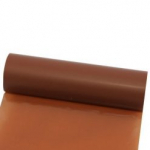 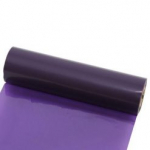 Our ribbon is extra smooth with a slit edge on the ribbon which prevents fraying and gives an excellent quality print.